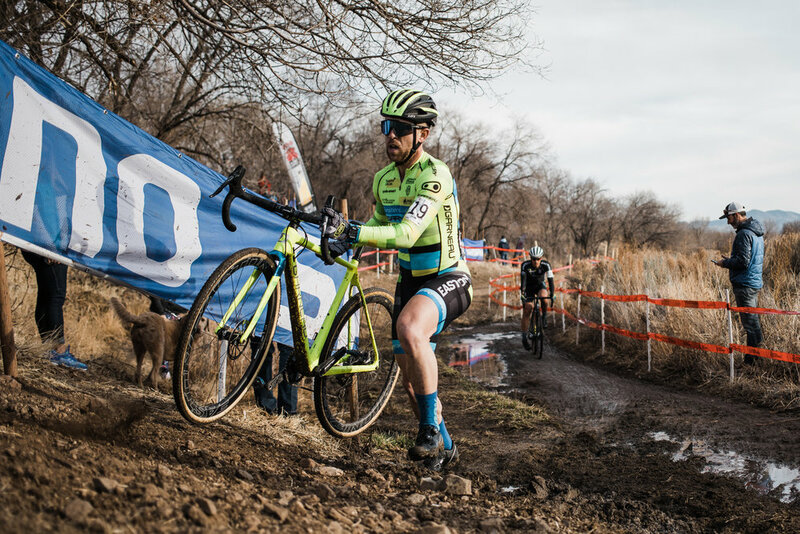 After a long season of racing across the country, it was time for one more domestic US race. 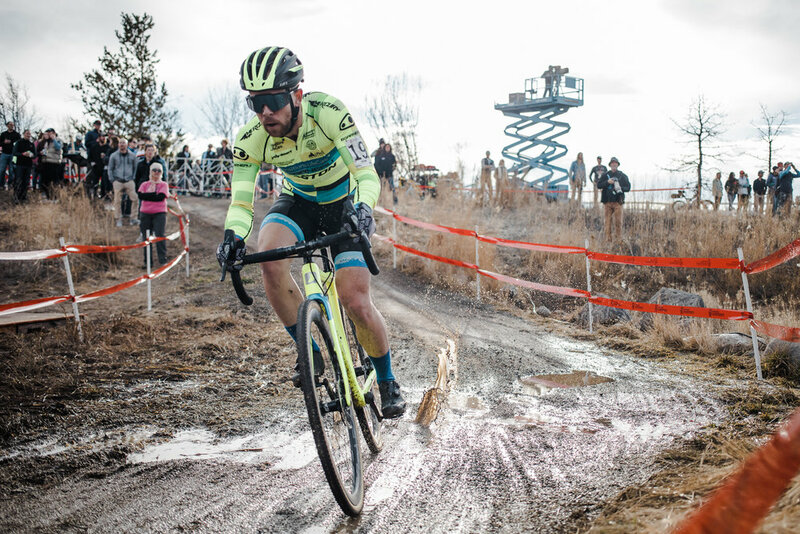 Held in Reno, Nevada, the 2018 USA Cycling Cyclocross Nationals marked a return to the West Coast for the first time since Boulder in 2014 (we'll lump CO in with the West). We arrived on Thursday after a quick flight from Dallas. Bags in tow, we moseyed on over to the course to build bikes and get a couple of short laps on the track. The event itself was held in Rancho San Rafael Park, just north of downtown Reno. Winding around the open fields and dog ranch on the property, the track was a balance of power and technical finesse. With rain earlier in the week, the ground was still soft with moisture in spots and the already power sapping drags were all the more draining. But it wasn’t just a watts contest. There were multiple features including a short, three step stair section, a ditch, a sandpit, a set of longer, rideable stairs, barriers, and of course, a technical off-camber section. Not bad, Reno. Not bad. Heading into the weekend, I was riding a high from my recent results. Just a week before I was able to win the Texas State Cyclocross Championships in both my category and my age group. It had been a long time since I had won a race, but finding some good form and focus just before Nationals seemed like a good omen to me! I really enjoyed the course and found that the features suited my abilities. 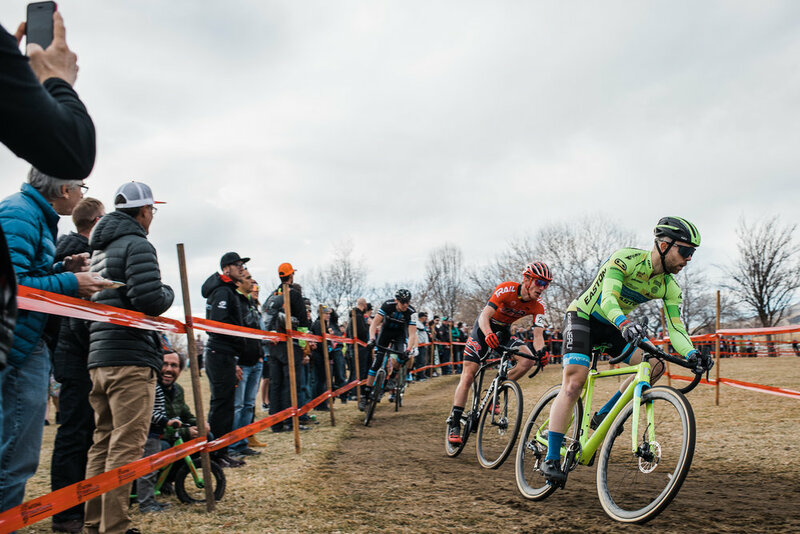 There was some running involved, but the technical features – namely the ditch and the long stairs – were more manageable after the intentional practice I put in all season. Friday and Saturday followed a familiar script: wake up, breakfast, work, ride, lunch, back to the course to session the features, dinner, bed. Our team was rooming with the JAM Fund and it was nice to spend time with their crew. Each and every rider in that program is talented and has a quiver of skills most could only dream of. The proof is in their being at the front of affairs on Sunday. Chilling with the JAM guys made it easy to relax and get into a good space mentally. That is until we kept losing our millions to Jack in our nightly poker game (we were using cereal as chips with values of $1M and $5M). Sunday started early and we got to the course a little after sunrise. 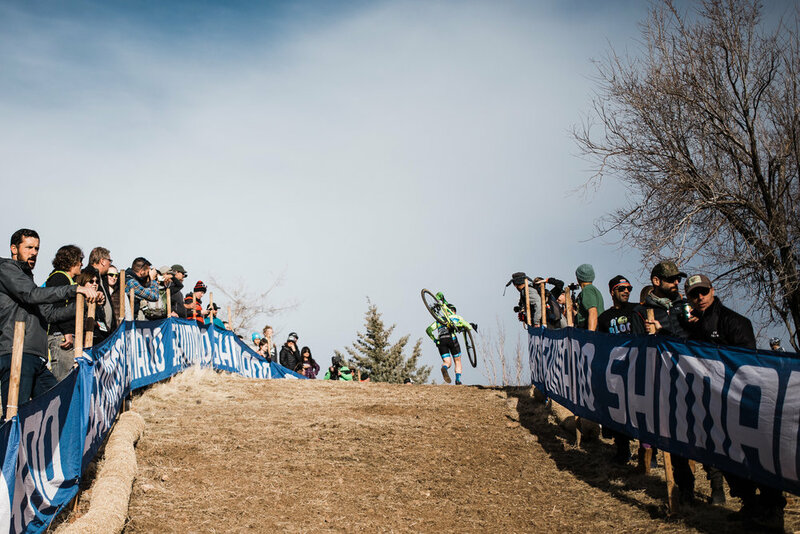 Anya was up first and put together a solid race in her first year in the U23 category. I’m not sure how she felt about her race, but from where I was sitting she put together a good race and seemed to have some fun out there. Erica was next in the elite women’s race. Though she got off to a bad start, she rallied real good and finished on the lead lap on a fast race! That’s pretty awesome considering just 24 hours before she was basically immobilized with stomach pain. 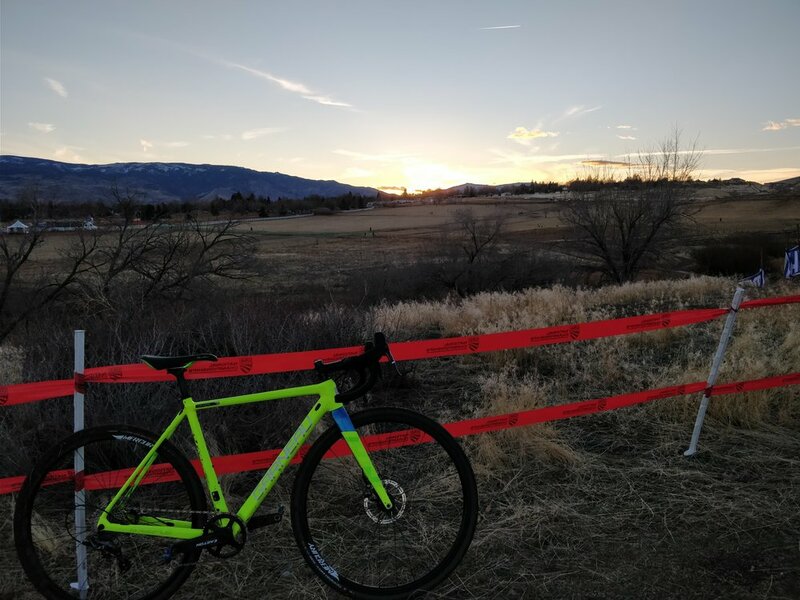 I took a couple of laps during the pre-ride window and made sure (for the third day in a row) that my pressure and racing lines were dialed. To be honest, I was a bit frustrated going into the day. All week I had been riding the long stair section, a skill I had been practicing all year. But on Sunday, I just couldn’t get the rhythm for my hopping and I decided I would run the stairs in the race. As I’ve said before: If you can’t do it 100% of the time, don’t do it in the race. I put my frustration aside and got back to the tent to mentally visualize the race and physically warm up the engines. 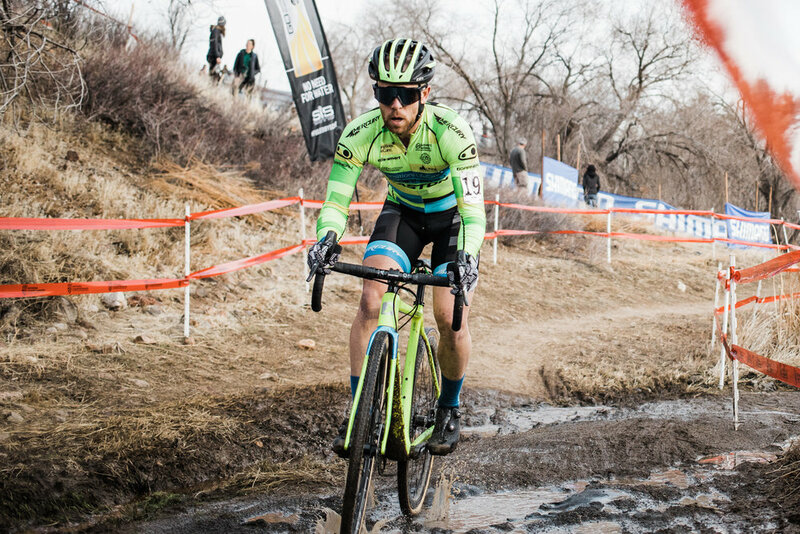 I was third row on the grid and lined up behind Tobin Ortenblad (Santa Cruz/ Donkey Label) and Cody Kaiser (Specialized - Lange Twins), two fairly fast starters. The mood was tense, but I was managing to stay relatively relaxed. The whistle blew and I got off to a good start, holding my position in the bunch. My strategy was to be very patient and respectful of the first 15 minutes of the race. Though only at 4,500 feet in elevation, that was a bit difference from the 450 feet I live at in Dallas. I know that my book of matches – how many hard efforts I can put in – is cut in half at altitude, so it was better for me to be patient and come on strong at the end of the race. Or that was the plan, at least. I navigated the second half of the lap and entered the pit the next time. Ryan was quick with the gorilla tape and I remained calm as he secured my shoe to my foot. Remounting my bike it was time to chase. I pushed the pedals hard and showed less regard for my competitors as I chopped past them in turns. The next time past the pits, I confirmed with Ryan that my second pair of shoes were at the tent and he set off like a Rapha-clad, Usain Bolt to grab them for me. I made up a few spots and by the time I got back to pit two, Ryan was back with my new shoes. I have seen many a shoe swap in the pro ranks, but I had never executed one myself. It felt fast, but in the moment, tightening the dials on my shoes seemed to take an eternity. Dancing shoe secure, I mashed the pedals again to regain the time that I had lost. As luck would have it, I was picking up time, and on the second ride up the hill, one of the Rock Lobster riders was leaving the line on the inside open. I took a chance and shot for the gap between him and the fencing, providing my shoulder as a means to make some space. 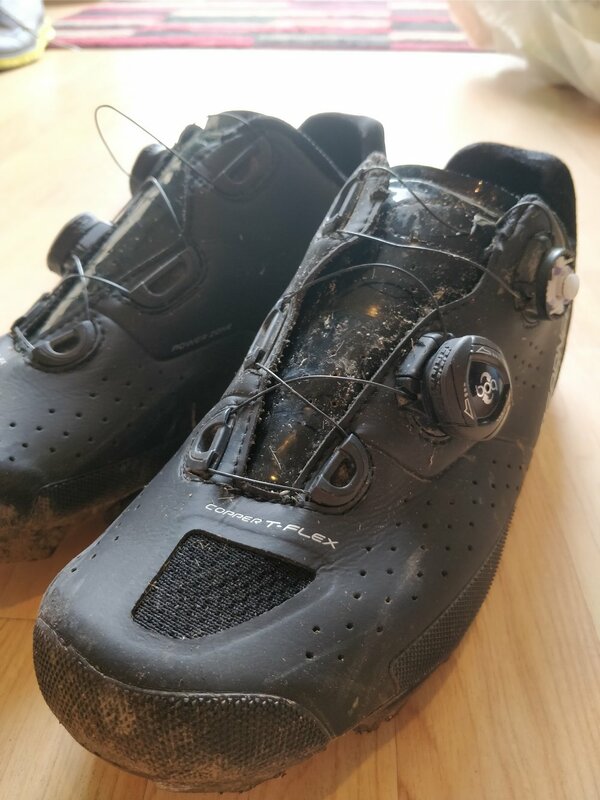 But Karma was not my friend, and his pedal hit the same Boa on my new shoe, popping the dial loose. Damn. I took a breather, muttered some less than nice words to myself, fixed my shoe and carried on. I chased for a third time, reeled a few riders back, but in the end, I had wasted too much time with my shoe problems. I had one more lap and then was pulled from the race, officially finishing in 28th position. Nationals is always a crap shoot. We train from May/June all for the big goal on January. Along the way you dodge sickness, build form, avoid mechanicals & a host of other problems that arise. I've been fortunate all year to get through each month, each training ride, each race without too much difficulty. For that I am definitely thankful. Coming into this weekend I was in good shape. My legs felt good. I was confident in my bike driving. And I felt like the practice I put in all year readied me for the race this weekend. Nationals is JUST another race but it's also THE race people look at the most. And while my race didn’t go to plan, that's part of the game. Sometimes it all comes together, and sometimes it does not. While I felt frustrated in the result, I am proud that I could battle back so many times, and more so, I am thankful to have Ryan Hobbs in the pits for me. Without him and so many other friends and strangers cheering along the course – yes, even the ones that told me to go back to Canada - I would have had a tough time carrying on. Thank you to all who sent messages of encouragement and cheered me on during the race! There was no time to pout as I was off to the airport on Tuesday to continue my cyclocross season. The trip to Europe was long, but we made it with little hassle. More on that to come!